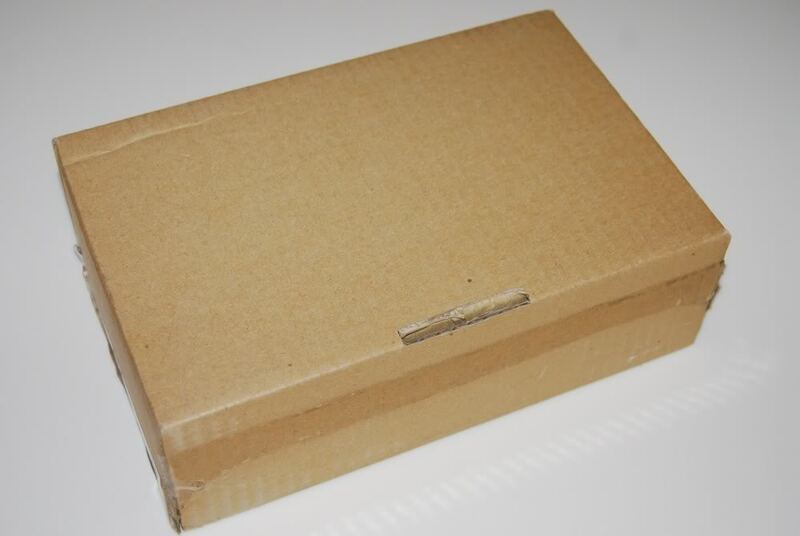 There are cars that modelers only wish somebody would make into a scale model, but chances are very slim. On the other hand, there are scale models that make you think – who in the world thought about making THIS in to a model? Then there are models that you don’t really mind, but wish they really made a different variation of the same model…. 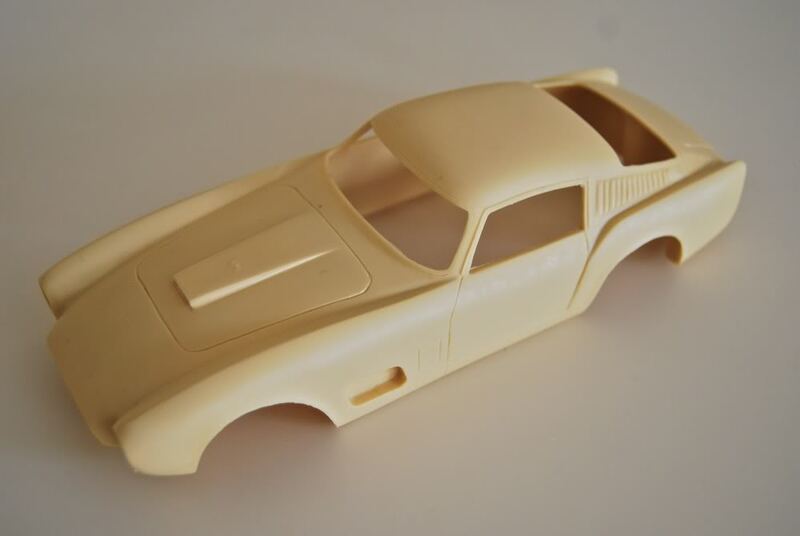 This is exactly the case with Ferrari 250 GT TdF Scaglietti 14-Louver Berlinetta by Japanese company Model Cars. While I absolutely love the car, I wish they’d make a 1 or 3-louver closed-headlight TdF version instead! 1957 TdF Berlinetta was a beautiful car. Purposeful design, race-bred 250 chassis and engine, stunning bodywork… the car was designed in 55-56 and Scaglietti made very few of these during 57-58. The car finally evolved into open-headlight TdF, then into ultimate (IMO) closed-Headlight 1-louver version. I don’t really know much about (now defunct) Model Cars. I suspect they were one of the many garage manufacturers in the early/mid-90’s in Japan, where garage industry was developing very fast at the time. 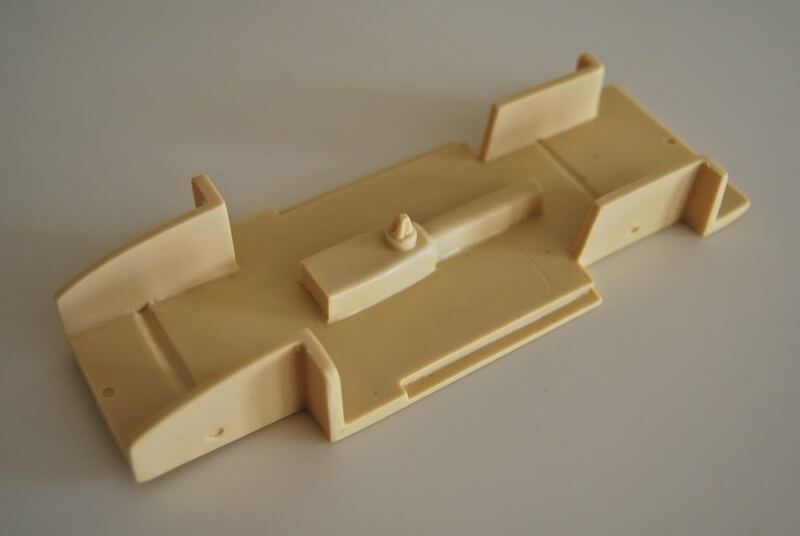 I also know they released at least one more Ferrari kit – 166MM Barchetta – but it is not as desirable because plenty of other manufacturers made various 166MM kits. Body is very thick, but has crisp details and very nicely cast. No flash, no imperfections, no bubbles. 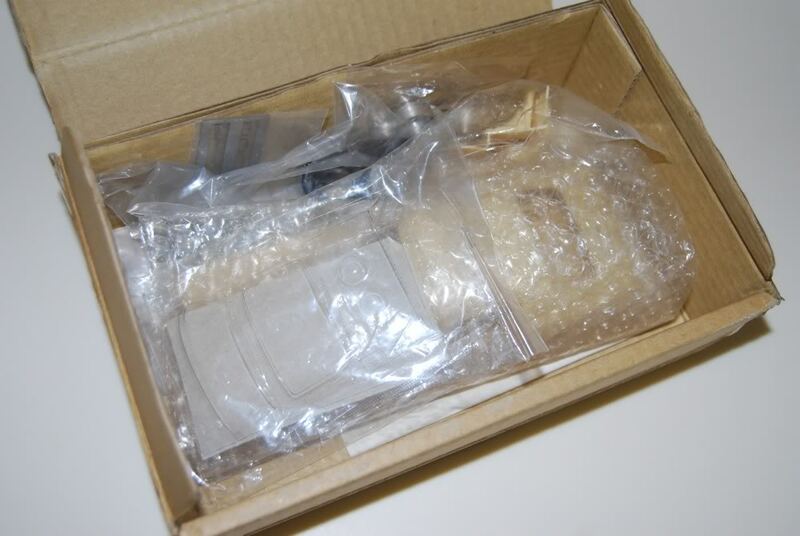 Resin is soft and insides of the body are very clean – typical for Japanese garage kits of that era. While the body is not 100% accurate, it has good details, and is a perfect base for a superdetailed project! 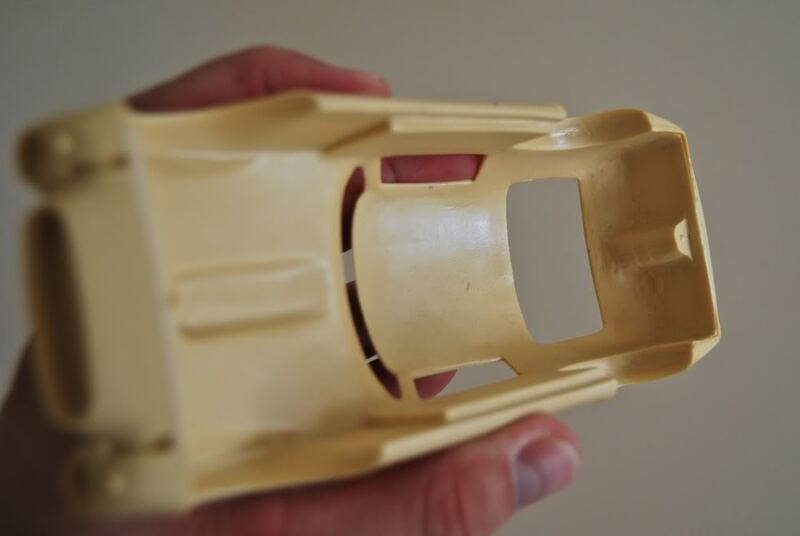 Chassis is very plain, with no suspension details to speak of – completely flat. Interior details are very sparse, with only central tunnel and shifter. 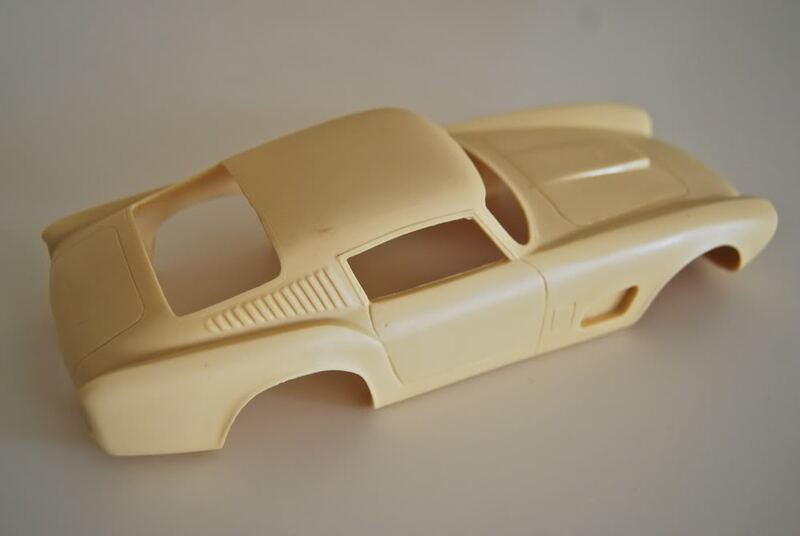 But not to worry – any decent 250 GT kit could be used as a donor, you just need to increase the wheelbase – this was an LWB! 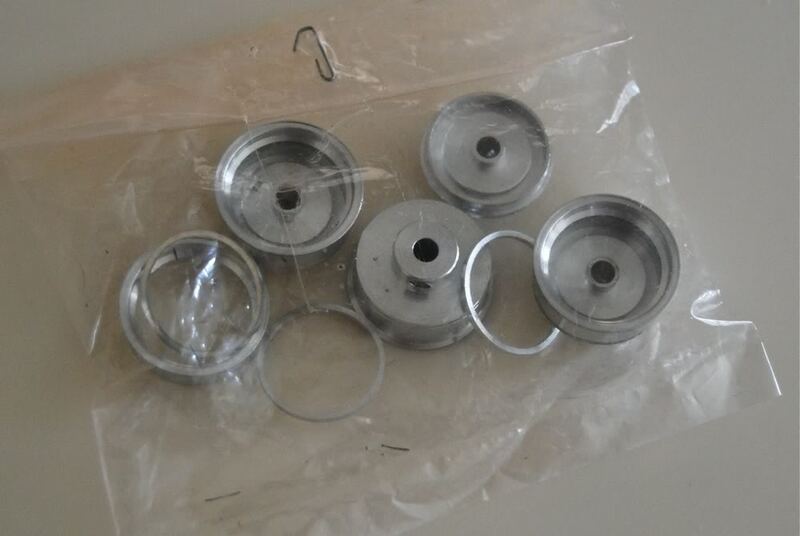 Rims are made from turned aluminum with photoetched spoke inserts and no-name “rubber” tires. “Rubber” because tires dried out and shrinked over time, and are just useless hard pieces of whatever material they were made of. They were too skinny and had no thread detail anyway, so no big loss there. I will most likely replace the wheels with Model Factory Hiro wheels anyway. 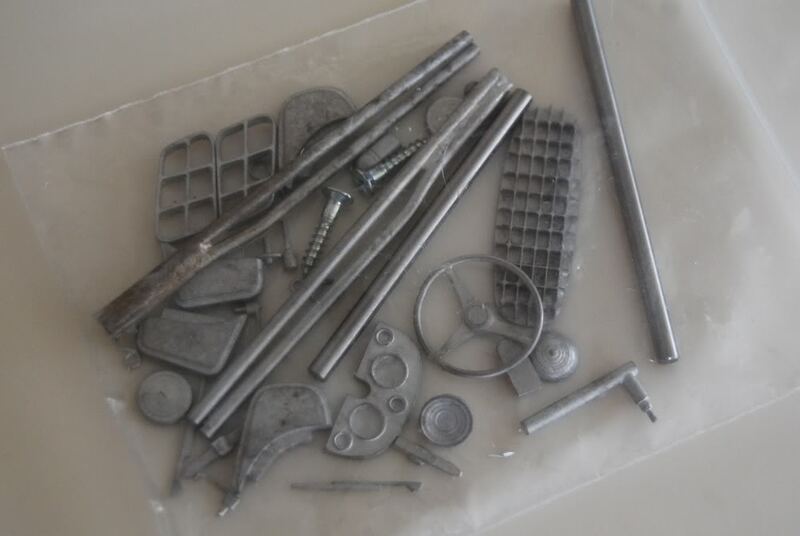 There is a bag with nicely cast white metal parts that contains bumpers, exhausts, grille inserts, and various interior and exterior bits and pieces. 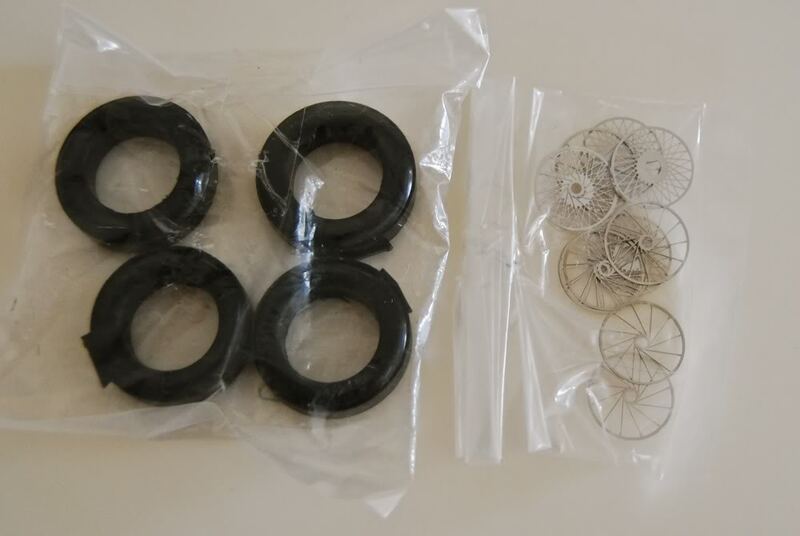 Most of these will have to be replaced though – there a lot of much nicer replacement pieces (such as Sakatsu headlight bezels, or RMMD steering wheel) available from aftermarket companies nowadays. 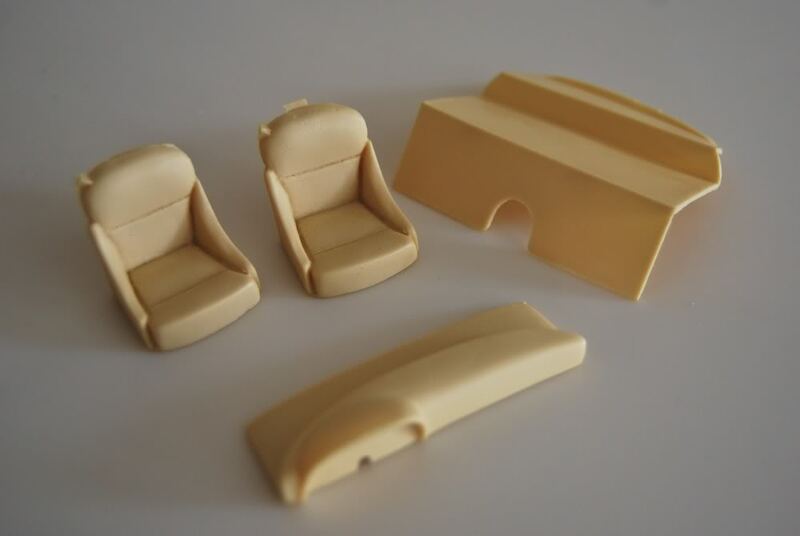 Interior is rather sparse, and consists of two resin seats, luggage rack, and a dashboard. No door panels, no pedals, and no trim – that’s it. 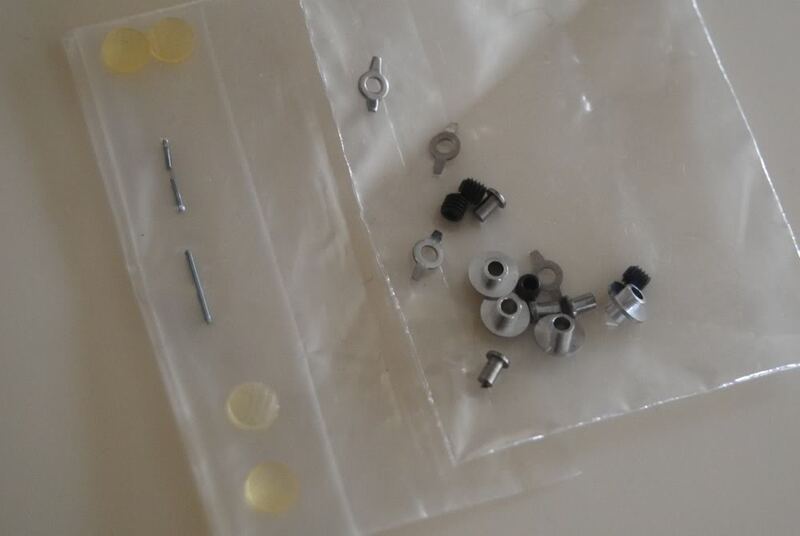 Then there are two bags with headlight covers (yellowed over time) and various wheel-related pieces. 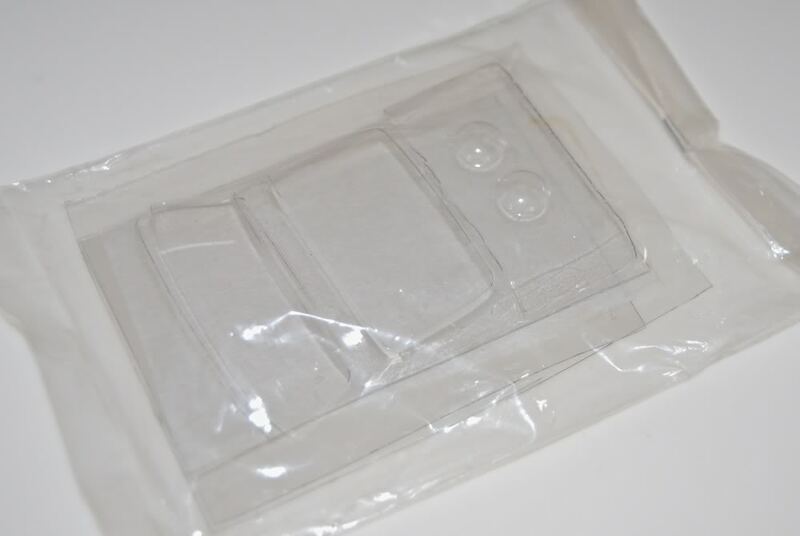 There is also a bag with vacuformed windows, headlight covers, and clear acetate sheets for side windows. The last but not least, there is a small but nicely done photoetched fret with badges and emblems. 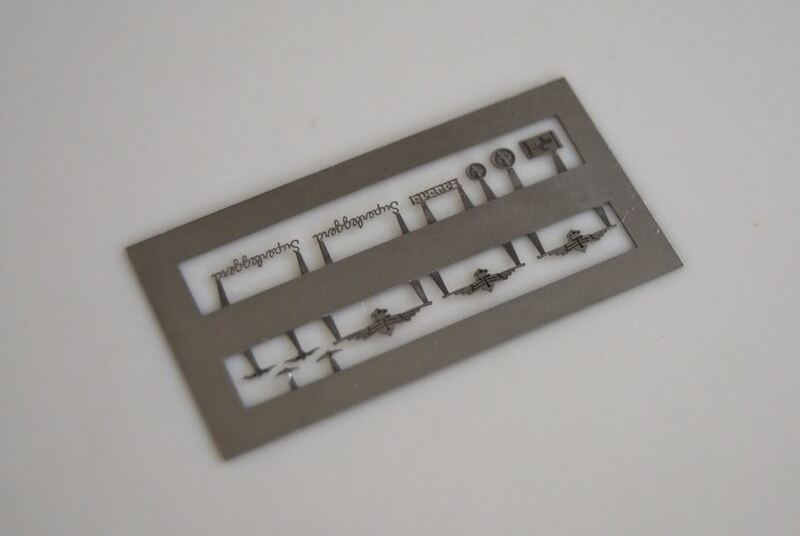 It is made from very hard material, but engraving and etching is first rate. 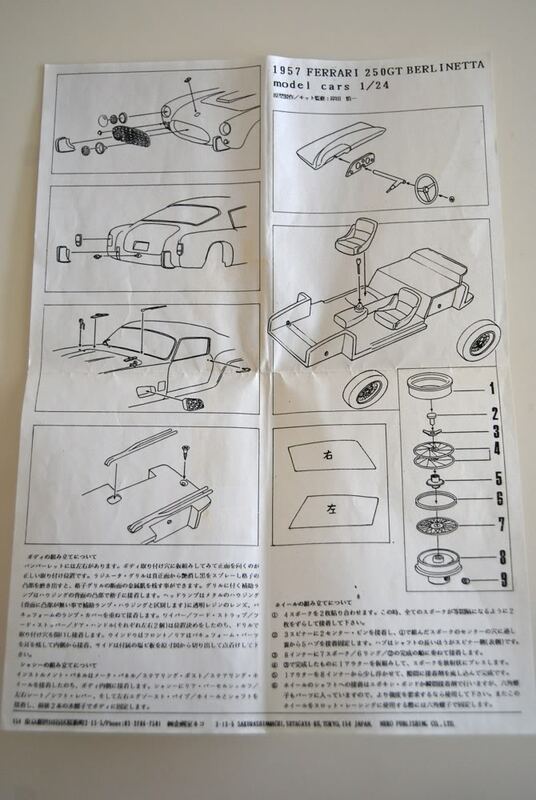 Instructions are completely in Japanese, but if you look at them, there is really not much to them – they are very simple and don’t need any translation. I bought this kit from a fellow collector in Italy about 6 years ago for a good chunk of change as it was the ONLY 250 TdF kit available in 1/24. Since this kit is next to impossible to find right now, I would think it is even more expensive right now. But not to worry – chances you won’t find one for sale anyway. Hopefully Model Factory Hiro will keep their promise and release various versions of TdF that they showed us some masters of about 3 years ago. Until that day, this one is waiting its turn in my stash.